In discussions of infant-centered emergency preparedness, the topic of cloth diapers inevitably gets brought up. “They’re good for 72 hour kits because you can reuse them,” is what I hear most often. 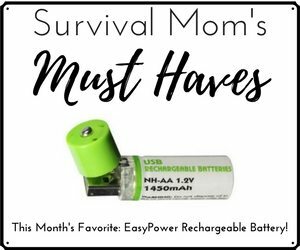 “So good for when the SHTF,” is another one. 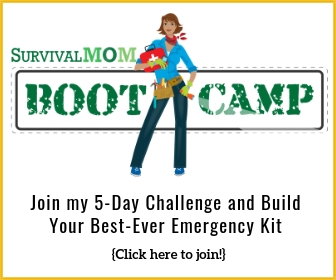 There’s just one problem – I’ve noticed that the people gushing about the emergency preparedness applications of cloth diapers don’t actually use them, themselves. This creates the false impression that one could simply go out, buy some diapers to put in your B.O.B, and have done with it. Yeah, that’s not really how it works. There are a lot of good things to say about cloth diapers. I’ve been using them for a little over four years, now, with three children, so I have at least some knowledge base here. We did save some very real money by opting for cloth; the initial cost will tend to turn your hair white. Our preferred brand tends to run about $18 per diaper, but in the long run we saved at least $1000, if not more. Many people choose cloth diapers for their babies, and for a wide variety of reasons. Some parents are concerned about carcinogens found in disposable diapers, others favor the physical appearance of the diapers. Whatever reason you may have for looking into cloth diapers, there are some things you need to know about how to use them before you choose to rely on them in an emergency. Before I continue, I should clarify what I mean when I say “cloth diapers,” because there are many different kinds. Most people hear the term and think of the old-fashioned prefolds that were worn with plastic or rubber pants. Those are certainly still around and are available for purchase, but doesn’t represent the current landscape of the cloth diaper market. Most people I know (myself included) prefer one-size pocket diapers – these have adjustable snaps, and must be stuffed with a liner, usually made of microfiber or similar. My kids have worn them from about three weeks after birth until potty training. And yes, they have lasted that long, too. There are also “snap-in-one” diapers, “all-in-one” diapers, and hybrid diapers. And with the invention of the snappi and polyurethane laminate covers, even flats and prefolds have experienced advances. Cloth diapers are re-usable, but require a large amount of water to wash them. This should be a major consideration when packing your Bug-Out-Bag. 72 hour kits are for evacuations – will you be evacuating to a place that is guaranteed to have laundry facilities? If you don’t have access to a washing machine, will you at least have a bathtub, and will you be okay with doing diaper laundry by hand? These are important questions you need to ask yourself. Using cloth diapers can involve something of a learning curve. There are many different brands of cloth diaper, and depending on your baby’s physique (e.g. chubbiness of legs in proportion to the circumference of their waist) some brands may be more prone to leaks than others. Some problems can be solved by fiddling with the diaper itself, but other problems may require that you purchase another brand altogether. You will need more than just the diapers: wet bags, diaper sprayers, and special detergent. If you attempt to make the switch to cloth without the use of these accessories, it will be that much harder for you. It is absolutely essential that you use only cloth-diaper-friendly detergent on your cloth diapers. 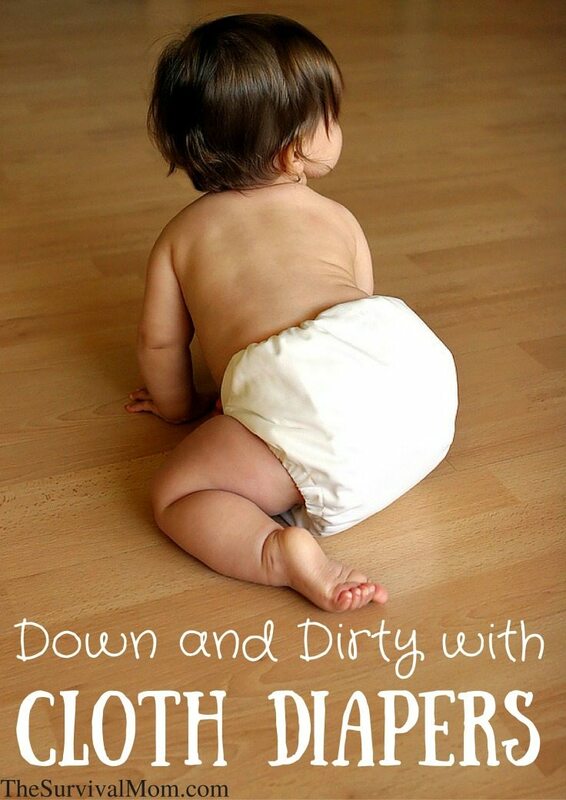 Regular detergent can lead to a build-up of soapy residue that will negatively impact the diapers’ absorbency and consequently shorten the life of the diaper. Cloth diapers require time and maintenance. I’ve had at least one child in diapers, and sometimes two, for four years. In that span of time, I have had to do an extra load of laundry at least every three days. When I had very young babies, it was closer to every other day and, at times, even daily. So what’s in my own 72-hour kits? Disposables, known to my kids as “paper diapers.” They don’t take up as much room as cloth diapers, and don’t require any maintenance. 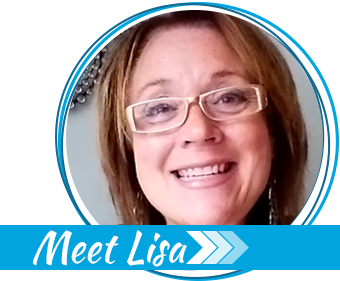 They are a good solution to have on hand for times that require quick and easy diaper changes with little fuss. You’ll probably read the above and be sworn off cloth diapers forever, because of how dull and dreary-sounding it appears. I hope you decide to keep reading, though, because there are more points to consider. A short-term emergency is one thing; what about a long-term emergency? Say there’s a tremendous disruption in shipping, and Costco’s inventory runs dry and you can’t get disposable diapers anywhere, not for love or money. Having cloth diapers on hand could be a real blessing, especially if you are already familiar with them. Even without the SHTF scenario hanging over your head, you won’t ever run out of diapers if you have a stash of “fluff.” Gone will be the days of midnight runs to the store to get more diapers. Cloth diapers last a long time. I got, on average, about two and a half years of use out of each of my posh bumGenius diapers. They don’t last forever and do wear out, but are extremely cost effective in the long run. “Old-school” diapers – prefolds and flats – have been known to last a decade or more. Yes, you do save money. Lots of money. I only wish I kept track of exactly how much money we’ve saved over the four years we’ve had our cloth diapers. We did need to purchase additional cloth diapers when my daughter was first born, and that set us back about $250, including the cost of detergent. Compare this to the average estimated cost of disposable diapers in a child’s first year, about $600. Our electric and water bills have not been significantly impacted since we began using cloth. Less trash in the landfill. Take a walk down the diaper aisle at any grocery store. Everything in that aisle is going to go straight into the trash. The Cloth vs. Disposables debate has been at times heated and bloody. Rather than engage the rhetoric from either side, I’ll try to be a little diplomatic: as you’ve seen above, both kinds of diaper have their pros and cons. Circumstances change, and your situation may warrant one over the other. Some children develop horrible rashes in response to cloth diapers, in which you could argue that disposables are in the best interest of the child, if you have a choice. Other babies, however, get rashes from disposables. My two boys loved their cloth diapers, but my daughter (now on the cusp of potty training.) starts crying if I try to put a cloth diaper on her. To be fair, her skin is more sensitive than her brothers’, and she breaks out in hives. It’s a battle that I have ceased to fight; after four years of exclusive cloth diapering, wherein I have battled a myriad of rashes and yeast infections and all kinds of things, I bought a big ol’ pack of disposables last week. I felt a little like I was abandoning my principles, but you gotta do what you gotta do. Have any of you had any experience using cloth diapers in during an emergency? What was your experience? Very good analysis. I used both kinds of diapers over the dozen or so years of having five babies. We’ve never experienced an emergency situation so I can’t address that issue. I will say that we began our family in San Diego where water is extremely expensive so I wrestled with the should I save water or land dilemma. Our fourth child had extremely sensitive skin and could wear only disposables or he’d break out and be in pain. I feel compassion for babies born before there were disposables who had to suffer through it all anyway. I believe your advice is wise; to think through the situations and plan ahead. Also, I’ve found that adding one half cup of white vinegar to the wash, in the dispenser for fabric softener, clears out all the detergent residue and leaves clothes feeling soft and smelling clean. When we had an outbreak of yeast infections I used Basic G from Shaklee in the wash to get rid of that. That germicide worked great, but I’m not sure they sell it anymore. Perhaps there is an alternative to use. Thanks for sharing your info and keep up the good work. Thanks for your comments, Rozy! I double checked and they do indeed still sell Basic G. It can be found from the shaklee website and on Amazon. I will have to try it out next time it is incumbent upon me to do some diaper laundry. Looks like my last-born is finally out of diapers, so I’m an outsider to the discussion now. I did (mostly) cloth diaper 3 kids over a span of seven or so years, though. I’m a fan of the hybrid plan. I used the old-fashioned prefolds (first with plastic pants and then with PUL covers) for daily use around the house. It was cheap, and easy, and saved on realizing I’d just grabbed the last diaper when I REALLY didn’t want to go to the store (I don’t have a real great working memory). I used disposables for going to town (mostly to cut down on comments from Mommy Warriors, but also to cut down on purse bulk). I kept about a dozen disposables in my vehicle at all times (still do– they’re handy when you gotta pee ! !right now!! with a carful of sleeping kids on a long trip, and I still have friends with kids in diapers). I kept (obviously) a whole raft of prefolds with a dedicated bucket and plunger for a long-term emergency scenario. But I packed disposables in the BOBs and tried to keep a dozen or so laying around in case of power outages (don’t want to spend stored water washing out diapers during a snowstorm or other temporary event where there’s still a high value on ‘business-as-usual’; besides that, if we’re going to have a snowstorm powerful enough to knock out the power for a week, I like to be able to kick back and enjoy that sucker). Thanks for the three sides to the story: prefold, pocket and disposable. When we were little cloth diapers were all my mom had. We learned how to hand wash the diapers with the diaper soap. Just a tip IF you run out of cloth diapers a hand towel does in a pinch. Way back when I was younger we were in snowstorm that stopped the city for about a week. Mom ran out of Cloth diapers for baby bro and that’s what she used till the neighbor brought her the first “paper” diapers to use till we could get dug out. No electricity, no dryer or heat . Had tons of nappies hanging in basement trying to dry out. I am so glad you wrote in this subject! I also appreciate the comments. I am in the process of going through our bug out bags/72 hr. Bags and updating clothes for the winter season, etc. I don’t know if there are even any diapers in there! Cloth diapers in the winter would be very hard to manage, especially in a situation where there was no electricity. I will definitely put enough disposables for a few days. That will take up way less space. But I have considered practicing on a camping trip how long I could survive (with backups, of course) on just two or three cloth diapers. I would attach the wet, cleaned diaper to the top of my pack to dry in the sun, and hope it dries in time for the next change. That will have to be a project for next summer. I like Many different styles of cloth diaper, but one of my favs is G diapers. The waterproof liners snap right in, so you don’t have to change your cover every time. Prefolds work in them, but so do disposable liners, as well as a microfiber cloth, etc. I really appreciate this blog! 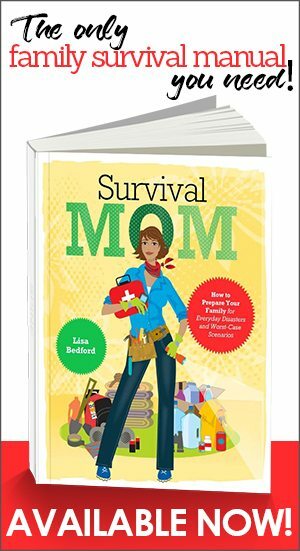 My husband watches survival videos and I remind him that they don’t have kids. I am so glad to finally start thinking through our strategies and applying that information with kids in tow (3 in February)! Talk about Mommy Wars! I had six children and “Curity” cloth diapers were all that was available at the time. I probably bought three separate batches over the span of six children, and washed/hung them out every other day. Despite the whining of today’s mothers, I find caring for a child today to be extremely easy. Pour powder into a bottle and add water and shake??? Really??? We spent hours sterilizing bottles and water and making condensed milk formula. There were no little boxes of instant “food”. You had to “rice” vegetables you probably grew yourself, and “rice” cooked beef or chicken which you may or may not of raised, but you had to cook it yourself. My knees wouldn’t allow me to sit on the floor and fold the quantities of diapers I used to fold then. My mother told me to give the diapers an extra rinse every 4-5 uses, in a tub of hot water with a cup of vinegar mixed in to get rid of soap scum and that hot sun was the best form of disinfectant. She was right, but it was difficult in winter or during a rainy period. Two of my children had sensitive skin and I used “Calgon” or rain water, all that was available, to rinse them which seemed to make them less irritating. Back then, you didn’t really have a choice. The best advice I can offer is to make your own Fels Naptha soap, which we did, but buy a bar of soap into which you stick the pins to they don’t drag when you pin them. Or do they even use those anymore? I feel like I was born several hundred years ago since everything has become so much more simple. Our kids grew up to be intelligent and smart, but we worked our butts off and I think eating real food was better for them. No Capri Sun, no flavored water, no instant crap. The only experience I had with cleaning diapers the really old fashioned way was when we camped in Colorado. We always took a galvanized tub with us and you heated the water over a campfire and washed them on a washboard. (Honestly!) They dried slowly in the cool mountain air, but they were clean. When we were outside, I removed the plastic pants you had to use indoors and everyone thrived. Thank you for sharing your experience, Vicky! It’s so true that we young moms today don’t even know how cushy we’ve got it. I LOVE this article!!!! My daughter was a preemie, and I discovered cloth when she was about 4 months old. (She’s now almost 3) I quickly switched to cloth full time, and slowly built up my stash. I tried all different kinds, and eventually settled on pockets with bumGenius now being 95% of my final stash. When I went back to work, I even made it work with my daycare provider. I can’t praise enough the savings I was able to have (My (ex) husband left when my baby was 4 months old and I’ve been a single mom ever since). I’ve often thought about the issue of diapers in our bug out bags. Disposables seem like a great space saver, but what about when they run out?! Cloth can of course be bulky, but are absolutely reusable. But space.. that’s an important thing when packing for the two of us. I had a thought.. What about something like a Flip (an adjustable diaper shell for you newbies 😉 ) with a few disposable inserts.. and maybe flip inserts for longer term? I LOVE my pockets, but I also need to be realistic. What are your thoughts? I wish I could offer definitive advice on your question, but I have to answer truthfully that I don’t have experience with using the flip style diapers. If you have room in your emergency kit for redundancies (cloth and disposables) then I imagine that would be a pretty safe bet. I’m Gramma now. Had 7 of my own who are bringing me lovely soft bottomed cloth diapered grandbabies. My first was a preemie and only 4lbs. Preemie disposables were a prescription only item in those days and waaay expensive. How weird is that. Newborn disposables came up to his chin! I was forced to use cloth, flats that I cut in half. There were no plastic pants or diaper covers small enough so for the first weeks I used sandwich baggies with leg holes cut. I used disposables to go but at home kept using cloth through all of them. For many years I had 2 or more littles in diapers at one time. I did daycare for my brother’s 2, and they went in cloth for the daytime too. Yeah, I washed a LOT of diapers. Thank GOD for washing machines! Only 2 had problems with rashes, and I learned to use vinegar and germicides. One baby I had to let go au-natural (naked) for an hour or two each day especially in the hot summer. That helped a lot. These days my daughters (and in-laws) are all trying to be “green” and think this cloth diaper thing is all “NEW” and “FAHIONABLE”. I long ago learned to make the cutest diaper covers that look so much better than going around in paper underwear. Love our cloth! I don’t have to run to the store if we’really running out I just go to our laundry room. My little guy got chemical rashes from disposable diapers and wipes so we switched fully to cloth!I recently switched to cloth for my own bum and never felt better! (Especially since my perineum tore and still is a tad tender) get a bidet sprayer for poop and never wipe again and get lint in your bum.only works well though if you live in a place with lots of water though in a ahtf sitiation.. I was interested to see toddlers in China wearing no diapers at all. Thier outfits had no crouch. I did no see how parents managed the pee part but pooping babies were held over an open trash receptacle, cleaned up and on their way. Yes, this was in the city. I made my own diapers from a double flannel sheet. I got a dozen per sheet.i just tore the sheet in strips, then cut the strips into equal pieces. After that I zigzaged around the edges. This was before sergers, now you can just serge the edges. To fold them you lay them flat. Take two corners and bring them in to make a triangle, bring one egged over the other. How wide you make it depends on your babies bottom. Bring the flap at the end of the triangle up over the end. The tip or the triangle is folded back to meet the flap, again how far depends on your babies size. Yoy need baby safety pins, the best ones are metal double headed ones. You can still find these at fabric stores. These type of diapers have been used for hundreds of years. 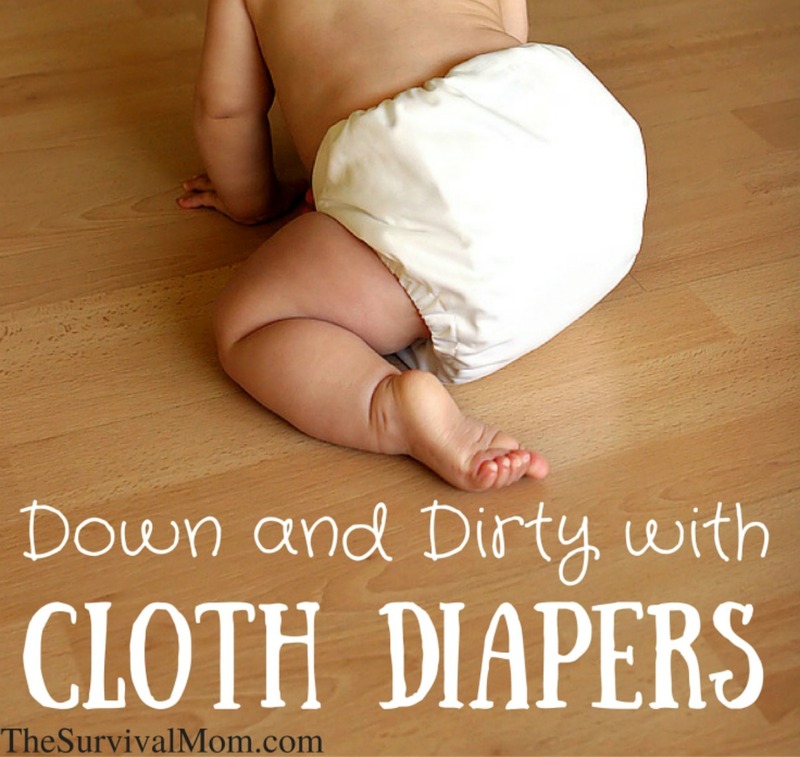 Cloth diapers don’t have to be expensive. They aren’t gross, that baby came from your body, what comes out of them is a natural product, your hands wash.
We have a newly adopted 14 year old daughter whom we have had for three months now and we started her off right away in the cloth pin on diapers and rubberpants 24/7.We got the cloth diapers and the adult size rubberpants from a couple of websites and also we got the Gerber flat cloth diapers in the 24×27 inch size at walmart.She has daytime wetting accidents as well as wets the bed so the cloth diapers and rubberpants work great for her.The diapers are pinned on her with regular baby diaper pins and we got the rubberpants in pastels and prints in a size to fit her blousy over the diapers for comfort.The diapers arent that hard to wash as i use the Dreft laundry detergent that is made for cloth diapers.We finially baptized and christened her at mass 3 weeks ago,and did her in a cute white,poofy,baby doll style,top of the knees baptism dress with a matching bonnet,lace anklets,and white mary jane shoes.I had pink ruffles sewn across the back of a pair of her white rubberpants that she wore over her diapers.she looked very cute!